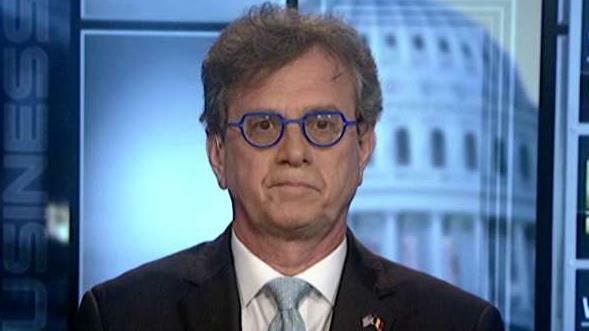 Howard Gutman, former U.S. Ambassador to Belgium, on the Orlando tragedy and terrorism in the United States. Howard Gutman, the former U.S. Ambassador to Belgium, said how the attack in Orlando could “not have happened” in Belgium, due to the country’s strict firearm laws and terror watch list. “On a watch list you couldn’t have gotten a legal weapon at all and in any event no one could get a semi-automatic,” Gutman told the FOX Business Network’s Liz Claman. The former ambassador said lone-wolf terror attacks are nearly impossible to stop, especially when someone has a deep-rooted animosity toward a particular person or group of people. “Anyone with hatred… if they can buy a semi-automatic weapon and start shooting…[FBI Director] James Comey cannot get that [information] in advance,” Gutman said. One of the biggest issues Gutman stressed was the ability to stop potential radicals from acquiring firearms or other weapons. “These are radical terrorists. These are people who abuse religion and so we shouldn’t politicize names. We should go after terrorists. But for God’s sake, don’t let them buy arms,” he pleaded.